Bastian Schweinsteiger likely ruled out. Jesse Lingard and Cameron Borthwick-Jackson doubtful. Paul Pogba and Chris Smalling could make their season debuts. Florin Gardos ruled out. José Fonte and Ryan Bertrand doubtful. 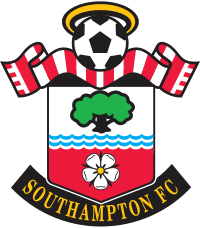 Southampton Football Club, nicknamed 'The Saints', are a professional football club based in Southampton, Hampshire, England; and were founded in 1885 by members of St Mary's Church of England Young Men's Association. Southampton play their home games at St. Mary's Stadium, and were one of the founding members of the Premier League in 1992. The club has a long-standing sporting rivalry with Portsmouth in a match termed the South Coast Derby or the Hampshire Derby. In recent years, Southampton has received praise for employing an attractive brand of football under Mauricio Pochettino and more recently, Ronald Koeman, and having the best youth system on English soil - which has produced the likes of Gareth Bale, Theo Walcott, Alex-Oxlade Chamberlain, Calum Chambers, Adam Lallana; apart from current Manchester United leftback, Luke Shaw. Under the duvet, with a laptop. Great result and fun to watch, bring on Pogba and lets enjoy the ride. Loving it! Hopefully we'll be top of the league from week one too! Southampton should be another easy win. Tell us oracle what will this great result be? Cannot wait for this. Just found out it's the Friday night game. United on a Friday night featuring Pogba and Rachel Riley, what more could you want? I expect us to build on our performance today and win again against a stronger team. Really exciting times. Couldn't have been more happy when I've heard from the commentator that this is played on Friday. Managed to come back from my brother's stag weekend, he's getting married on Saturday so I won't miss that game either. I'd unleash them all for their home debut: Bailly, Pogba, Zlatan and Mickey. I see a 1-3 away win for us and top of the league after the first round of games but that's because I thought I was posting in the post-match Bournemouth game! I've gone for 3-0 against Southampton, but I'm actually hoping for 4-0! I'm feeling very optimistic after watching the Bournemouth game - great to finally really enjoy watching us play again. Smalling to start and drop Blind? Looks really unfair, but could happen if Mourinho thinks Smalling is really his man for the season. Darmian to make the bench instead of Rojo? Carrick or Fellaini to start? Schneiderlin won't even make the bench. Will Pogba start or only feature as sub? Mata to keep the place as right-wing or Lingard to recover it? Not counting on Mkhitaryan to start right away. Can't see any changes. Pogba will probably feature as a sub. Should win with ease. Hope Pogba comes on as a sub early 2nd half, around 50 minutes. The place is going to erupt. He'll probably parachute down from an Adidas blimp. 4-1 win I'm going for. Confidence will be high and Paul Pogba is making his debut. I can see us being rampant. I'm thinking because Southampton use a diamond formation we might go for a better passer to play alongside Pogba so Southampton don't dominate possession but it wouldn't surprise me if Fellaini starts ahead of Carrick, especially after a good performance against Bournemouth. It's also possible he'll want to use Fellaini's strength to stifle Southampton's midfield players. I've put Lingard back in (assuming he's fit) because I think he offers more width than Mata which is why if Lingard isn't fit I'd expect either Mkhitaryan or Rashford to start on the wing so they can stretch Southampton's midfield and run at their exposed full backs. 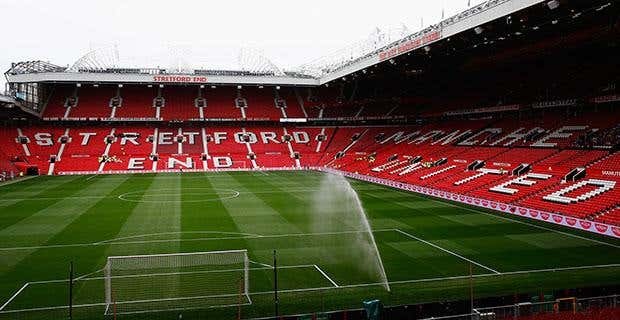 Pogba, Pogba, Pogba, Pogba, Pogba, Pogba, Pogba, Pogba, Pogba, Pogba, Pogba, Pogba, Pogba, Pogba, Pogba, Pogba, Pogba, Pogba, Pogba, Pogba, Pogba, Pogba, Pogba, Pogba, Pogba, Pogba, Pogba, Pogba, Pogba, Pogba, Pogba, Pogba, Pogba, Pogba, Pogba, Pogba, Pogba, Pogba, Pogba Pogba, Pogba, Pogba, Pogba, Pogba, Pogba, Pogba, Pogba, Pogba, Pogba, Pogba, Pogba, Pogba, Pogba, Pogba, Pogba, Pogba, Pogba, Pogba, Pogba, Pogba, Pogba, Pogba, Pogba, Pogba, Pogba, Pogba, Pogba, Pogba, Pogba! I genuinely can't believe he will be making his debut (again) I am going to be excited about this all week! I have never really been a Blind fan, certainly not at CB but even though Smalling should be back he needs to go on the bench imo. As for the midfield, I would basically give Pogba a free role to do whatever the hell he needs to do to influence the game and ensure that Schneiderlin and Carrick are always prepared to shift to a 2 man midfield to cover Pogba when he is out of position. I was wondering what would be the cover on the bench if Valencia/Shaw are unable to continue to play, but I guess Blind can switch to left-back and Bailly/Smalling to right-back, right? Mourinho always takes that into account. Also hoping to see Mkhitaryan start. Yeah, I think that's the only reason Rojo has been getting on the bench but he won't leave Smalling out of the squad completely. Blind could switch to lb easily. Though I imagine he'd rather avoid it, Bailly has played rb before and I'm sure he could slot in there if Valencia were to get injured. He's good with the ball at his feet anyway. Expect to see this. Maybe Lingard or Mata in for Mkhitaryan. My preferred team though would be Carrick holding and Mata in the middle. Reckon that spot next to Pogba will change every game depending on opponent, while Mata will eventually win over the #10 and Mkhitaryan the right wing. Though then again, having those 2 in is probably a bit too weak defensively and physically so Rooney or a 3rd midfielder is more likely then Mata and Miki together. dannyrhinos89 OMG socks and sandals lol! Honestly, after today's game I don't care who starts as long as Pogba does. I was thoroughly surprised by today's game because I though the line up looked bad. Smalling definitely won't start this. I want Mkhi to start but I doubt it'll happen, I'm not sure if Pogba will start but I hope he does. Minutes for Rashford, Mkhitaryan and Smalling off the bench hopefully. Gonna be tough to pick line up. It feels nice that you can look at a bench and see quality. Anybody know why Lindgard didn't feature? horsechoker Sailor vee, this is a right off. Don't think Pogba is ready I'd prefer a midfield two of Valencia and Fellaini. I hope Mkhi gets a start, I thought Mata was decent on the right but Mkhi offers more pace. I hope Pogba will offer more drive from the midfield which should help out our attackers, I thought Herrera didn't offer enough going forwards and often looked for the simpler passes instead of trying to make something happen. I don't think we'll play Southampton off the park but I expect a win. I don't think Mourinho is gonna rotate that much until the cup/EL start kicking in. Hence i think we'll start unchanged if we can, considering noone had an outright awful game today. If anyone, it would be Smalling coming in,depending who Mourinho wants for the long term CB-pairing. Also, Lingard will be in with a shout if ready again. Pogba, having been on holidays until recently, and only had a handful of training sessions with the team, i can see him coming on for a second half display. Result-wise i don't expect it to be many goals in this game. Koeman has a decent defensive setup, and Mourinho will not go gung-ho either. 1-0 or at most 2-1 as i'm hoping for, and expecting, a win! Pressure on the other teams if we get a winning streak going from the start of the season! "Can Manchester United score? They always score"
it's anything but an easy game for us and the arrogance isn't really warranted. I see what you did there! Rafael says hello! Result-wise i don't expect it to be many goals in this game. Koeman has a decent defensive setup, and Mourinho will not go gung-ho either. 0-1 or at most 1-2 as i'm hoping for, and expecting, a win! We played them two weeks ago. Why does the predictor only go to five. Doubt Pogs will be able to go the whole 90+ minutes. I reckon he will come on at halftime or shortly after. Would love to see Miki at #10 with Roo benched and Lingard back out wide right. Then Pogs can come in at the second half. Would love to see a lineup without Rooney first and foremost, and with Pogba, but I'm not getting my hopes up. I'm just hoping for another enjoyable performance like what we saw in the second half today. It was finally fun to watch United play again. Would love if Pogba came off the bench while we were 2 love up, If only just to hear the roar of Old Trafford when he comes on. We have our Pog Back.